B8 Pro Ride 20'', Crash Cymbal from Sabian in the B8 Pro series. According to Sabian, "the new, better B8 Pro is richer sounding, with a complexity of tone not typically found in cymbals at this price point. It opens up when hit hard, but now also "gives up the goods" when played lightly." It's the latest cymbal development from Sabian, and is protected by the Sabian Two-Year Warranty. 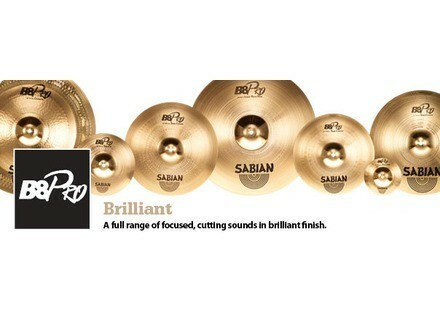 Visit www.sabian.com/EN/products/b8pro.cfm for more details. On the Beaten Path: Beginning Drumset Course 2 Alfred expands its On the Beaten Path series with Beginning Drumset Course, Level 2, by Rich Lackowski.